Business Sales Tax Debts Dischargeable in a CA Chapter 7 Bankruptcy? Are Business Sales Tax Debts Dischargeable in a California Chapter 7 Bankruptcy? For many business owners the following scenario may seem decidedly Kafka-esque or like something out of a horror movie. Unfortunately, during our practice of law we have seen many situations where an individual runs a business successfully for a number of years before running into serious problems with the California State board of Equalization. After some time, the California State Board of Equalization takes notice of the business and performs an assessment. Unfortunately for the business owner who decided to handle the assessment without professional assistance, the audit goes off the rails and the examiner decides to look more carefully at the business finances. Perhaps due to insufficient books or records, the agent decides to conduct a sample audit that shows a substantial underpayment of sales tax. Even more unfortunately for business owners facing this type of scenario, the Board of Equalization is ruthless and typically proceeds aggressively in matter where sales tax was allegedly underpaid. 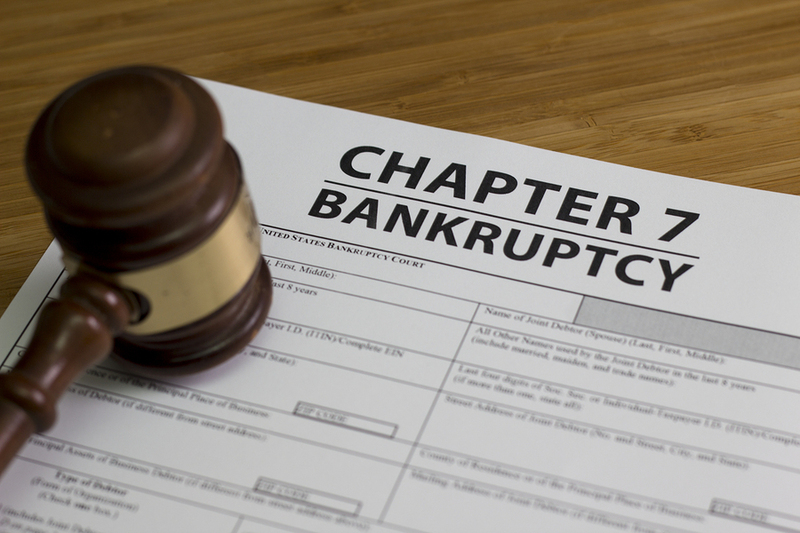 If you are facing significant sales tax debts and have closed your business due to these liabilities, a Sacramento bankruptcy lawyer of The Bankruptcy Group may be able to provide relief through a California bankruptcy. To discuss whether you are a good candidate for this type of sales tax debt relief, call the attorneys of The Bankruptcy Group at 1-800-920-5351 today. Many individuals are aware that the U.S. Bankruptcy Code generally provides for the discharge of debts upon the completion of a successful bankruptcy proceeding. Under § 727(b) there is generally a presumption to grant a discharge. The discharge is intended to provide debtors with a fresh start. Medical bills, credit card debts, certain tax obligations, and other liabilities can all be eliminated through bankruptcy. However, the U.S. Tax Code also makes certain debts non-dischargeable meaning that they will not be eliminated even if an otherwise successful bankruptcy proceeding occurs. Section 523(a)(1)(A) makes certain tax debts non dischargeable in bankruptcy. Trust fund taxes are typically non-dischargeable in bankruptcy. In most states, this means that unpaid sales tax obligations are not dischargeable in bankruptcy. However, California is unique and the state’s treatment of state sales tax debts in bankruptcy can result in a discharge of the liability provided certain requirements are met. In California, like in most states, sales tax is collected by retailers and others before it is paid over to the government. In most states, this would mean that sales tax debts are non-dischargeable trust fund taxes. However, in California, state law makes sales tax the sole liability of the retailer or seller of goods despite the fact that sales tax is customarily collected from customers. Thus, under California law, sales tax debts are dischargeable provided certain requirements are met. The requirements that determine whether the sales tax debt is dischargeable closely tracks the test for debts incurred due to unpaid income taxes. Essentially, all tax returns must have been filed and at least two years must have elapsed since the tax was actually filed (2-year rule). Additionally, at least three years must have elapsed from when the tax return or other filing was due (3-year rule). Finally, the taxes must have been assessed a minimum of 270 days ago and the taxes cannot still be assessable. For sales tax debt discharges, the business must have been dissolved or otherwise closed and the California Board of Equalization must have been provided a notice of the company’s closing. Provided these requirements are met, it is likely that a discharge of tax debts, including sales tax debts, will be granted by a bankruptcy court. If you are considering a sales or income tax motivated bankruptcy, the attorneys of The Bankruptcy Group can provide careful, step-by step guidance. Our attorneys always take the time to get to know you and your goals before suggesting any bankruptcy or non-bankruptcy solutions to tax debt and other liabilities. To schedule a confidential consultation with our team, call The Bankruptcy Group at 1-800-5351 today.